Mighty hop character and just 95 calories … that's not possible. Oh, but it is! After a year of R&D and months of fine-tuning what seemed to be unimaginable, Slightly Mighty is finally here! This true indie craft beer has all the makings of a world class IPA, but with only 95 calories, 3.6g carbs, 1g protein and 0g fat per 12oz serving. Seriously. But how? Digging deep into our culinary roots, we found our answer in an ancient Chinese delicacy - monk fruit. Sweeter than sugar per ounce, monk fruit amplifies the body and complexity of the beer, yet contains no calories. The result is a hazy gold lo-cal IPA that throws tropical notes of pineapple, coconut, mango and citrus, all while delivering an aromatic hoppiness that makes it oh-so drinkable. 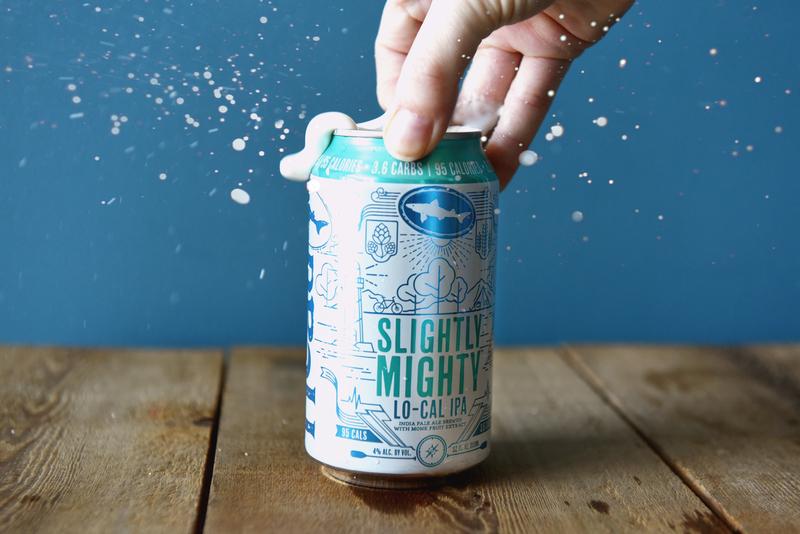 Brewed with ‘lo-cal’ly grown malted barley, Slightly Mighty is dynamic and crisp with a refreshing hop profile.